You know the saying, “The devil is in the details.” Well, when it comes to eCommerce, nothing could be more accurate. Setting up your website is a crucial component of your business since without it you wouldn’t be able to function. However, eCommerce is so much more than just selling products online; it is also interacting with today’s markets and forming a relationship with your customers. Don’t forget to pay attention to how you are choosing to market your business and interact with your customer base. Do not rush your launch. Unveiling your site too quickly to the public can have catastrophic effects. 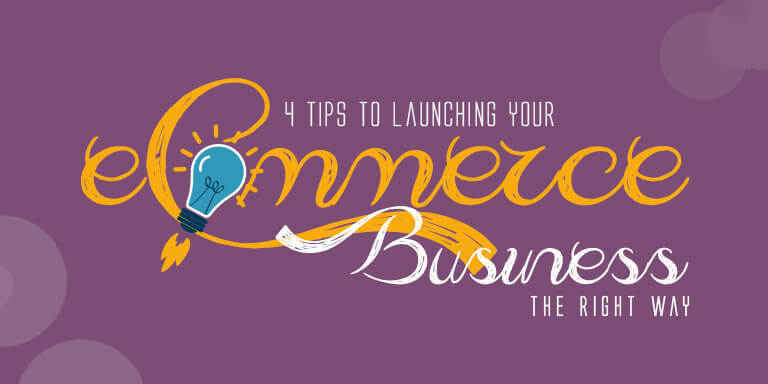 Since you only launch your website once, take the time to do it correctly. If you feel like you’re leaving your customers in the dark by making them wait, feel free to throw up a giant “Coming Soon” page on a domain name that you have already purchased. Customers will know that while they are waiting, your business is laying substantial groundwork so that they get the smoothest experience possible when using your website. Additionally, your launch doesn’t end when your website is available for you. It is still important to test everything. In fact, the best method is to test everything before, during, and after your launch. Understand what works well, what could use improvement, and above all why components of the site function the way they do. If there is no good “why” for the way a function is running, then perhaps it is worth evaluating to see if it could be streamlined or improved. Keep in mind that all the work you do online must be transferrable to the mobile arena. According to the Quarterly Retail eCommerce Sales report from the U.S. Census Bureau, mobile eCommerce will increase for the foreseeable future. If you do not take mobile optimization seriously, you will risk causing your business to become irrelevant in the next several years. Optimizing for mobile is not as simple as it seems. What works effortlessly on a laptop can be unusable on a phone. You need to pay attention to the overall shopping experience. Can items be easily added to the cart for checkout? If the shopping experience seems to be in order, then you need to concentrate on the checkout where many bottlenecks occur. Offer your customers a great shopping experience on any device. Make sure that you test your website thoroughly! To really integrate into the mobile world, you should either be investing in a mobile app or responsive design strategy for your business. Attitudes are quickly shifting around responsive designs. It is becoming harder than ever to offer streamlined interfaces on the variety of devices available. With resizing, panning, scrolling, and linking, the viewing experience on each mobile device is slightly different. Responsive design eliminates many of these problems, helps to increase site traffic, improves customer satisfaction, and smooths out the overall shopping experience over multiple platforms. This is important, because, after all, customer satisfaction is the goal of any business if you want to keep them coming back for more. Communication and social media are the lifeblood of an eCommerce business. It is no secret that the biggest downside to running a business online is that customers are unable to interact firsthand with the products. Therefore, eCommerce sites must offer something else to make up for the lack of tactile interaction with their wares. Besides well-done pricing, and free shipping and returns, your business should offer open communication with your customers. Not only should your communication be free-flowing and responsive, it should also be done by your own company and not outsourced. By having your finger on the pulse of your clients, you have an unimpeded view of their wants and needs. Implement product reviews and testimonials into your site. Start a blog that has news related to your products. By combining content with your commerce, you can create a rich culture for your brand. As a bonus, building an ecommerce site that integrates into your customers’ lifestyles can double as a part of your SEO and branding strategy! Above all, use your communication strategy with your customers to create trust and loyalty. Without these two qualities, your business cannot thrive. There are so many online retailers in every niche, that it is up to you to highlight your advantages and form lasting relationships with your customers to keep them with you for the long haul.